AllCare Foot & Ankle Center is located in the heart of Dallas. When it comes to treatments and care regimens for your feet and ankles, our specialists have you covered. At our podiatry office, we believe that thorough and effective care is something that needs to be delivered in a timely manner, and that’s why we’ve compiled a staff of foot and ankle experts. 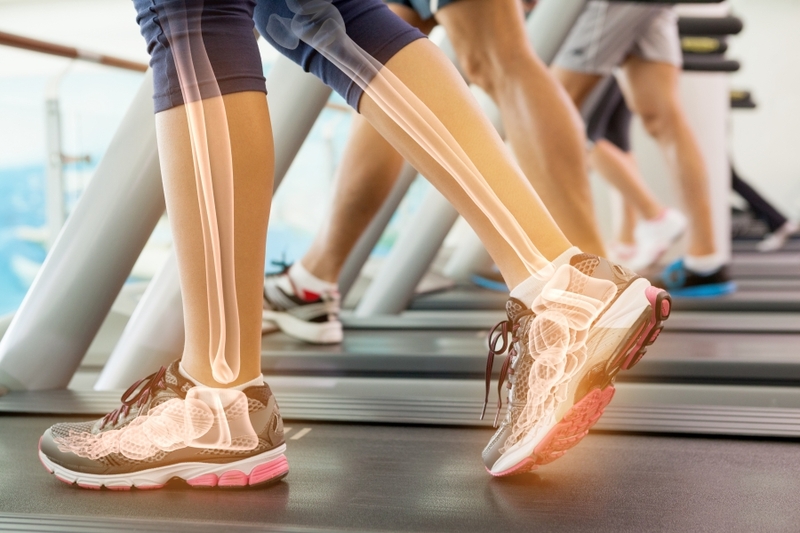 When you visit AllCare Foot & Ankle Center, you can count on us listening to your medical history, any current pains or problems, and providing an in-depth examination before providing you with a diagnosis. From there we will suggest a certain type of care regimen, treatment, or surgery so that you can get back to the comfortable life that healthy feet and ankles allow for. We offer a variety of ankle and foot care services here at Allcare Foot & Ankle Center. Below is a list of our specialty services. If you don’t find the service that you’re looking for, call our podiatrists for more information regarding that particular service. The mission that we have embodied in our office is built around creating an environment and an atmosphere that allows for you to feel comfortable when receiving your treatment. We do that with the help of our friendly and knowledgeable staff, licensed physical therapists, top of the line equipment, and an atmosphere that is relaxed and comforting. By doing so, we make the treatment process something that is more than just medically necessary, it’s a moment of relief as you take the necessary steps to get the care you need. 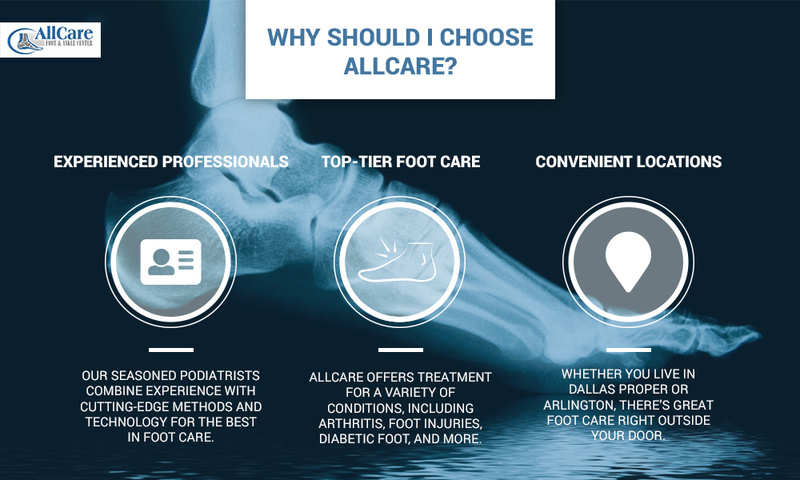 AllCare Foot & Ankle center has a podiatry office located in Dallas for you to stop in and visit. We service all of the surrounding areas as well, such as; North Dallas, Carrollton, Farmers Branch, Highland Park, Uptown Dallas, Irving, Richardson, Garland, Frisco, Plano, Coppell, Las Colinas, Addison, Mesquite, Rockwall, Wylie, Murphy, Allen, Sherman, and Anna. Schedule an appointment at our office by calling the number below or fill out the form for further inquiries, questions, or concerns that you may have. We look forward to treating you in our office.